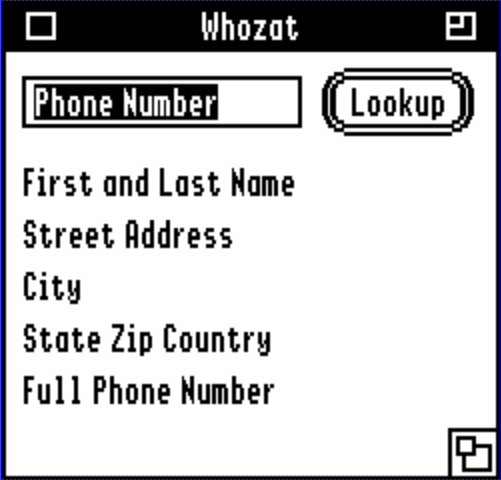 Whozat is a reverse phone number lookup NDA for the USA, and possibly other countries that allow reverse lookup. It has been initially set to use the Whitepages web sites, but may need tweaking if the structure of those pages change. Full instructions to do this are included.